Where should you go for a tow truck in Ascension Parish? When you have to call a tow truck, you want to make sure that you get it from a quality towing company that will treat you fair. And part of that is getting to your location fast. But is it better to have someone give you a fast time estimate that they know they can’t keep or to get an honest, straightforward response? 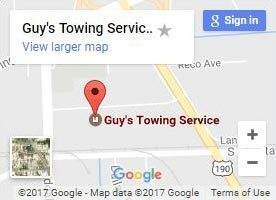 At Guy’s Towing Service, we always choose to do business with integrity. We believe that establishing trust is an essential part of a successful company, and do it from the get-go. 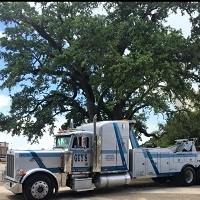 That’s why when you call us for towing services in Ascension Parish, we’ll find the nearest truck that’s fit for the job and give you a timeframe we can stick to. And from the dispatch to settling the bill, we’ll always treat you fairly. What if I’m not sure if I need a tow truck? Call us and we can help! Even though we’re a towing company, that doesn’t mean we’ll try to swindle you into getting towing that you don’t need. Our goal is to see you get where you need to be. That’s why we also provide roadside assistance services. Some minor issues, including changing a flat tire or jump-starting a battery, don’t need a tow truck. 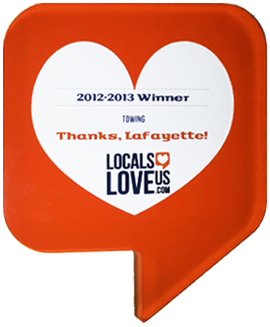 For small things like this, we’ll try to help you first. But if we can’t, we’ll make sure to tow you to someone who can! When you call your local towing company, it’s important that they answer quickly. And it’s important that they can come by to help. Some towing companies are only open during normal business hours and give you a frustrating machine when you call them. We don’t. Not only is someone ready to answer your call any day of the week at any time, but they’ll always treat you with the courtesy and respect that you deserve. Different jobs require different types of trucks. 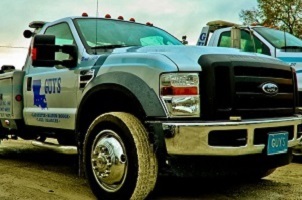 We have light, medium, and heavy duty tow trucks on hand as well as specialty vehicles depending on your needs. Light duty trucks are good for towing smaller vehicles such as cars, trucks, and SUVs. They work along with your vehicle’s wheels to get you home quickly. Medium duty trucks are strong enough to take care of most residential and some commercial towing including RVs, motorhomes, and toy haulers. Heavy duty tow trucks take care of the rest. With a 60-ton crane system and airbag recovery system, you can rest assured that roadside recovery will be successful! When it’s time for towing, call us to send out a tow truck. 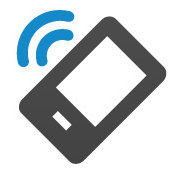 We’ll send the truck once we have your information and situation details. Our tow truck driver will head over to you and tow your vehicle.